This magnificent home is located in highly desirable LINCOLNVILLE. Upgrades galore help make this a very special property. The custom wood laminate floors, completely remodeled kitchen and bath, new AC system, and metal roof are all just about 2 years old. Front and rear patios, a firepit, and large oversized private fenced in yard complete this wonderful oasis, making it a perfect choice for your next home. 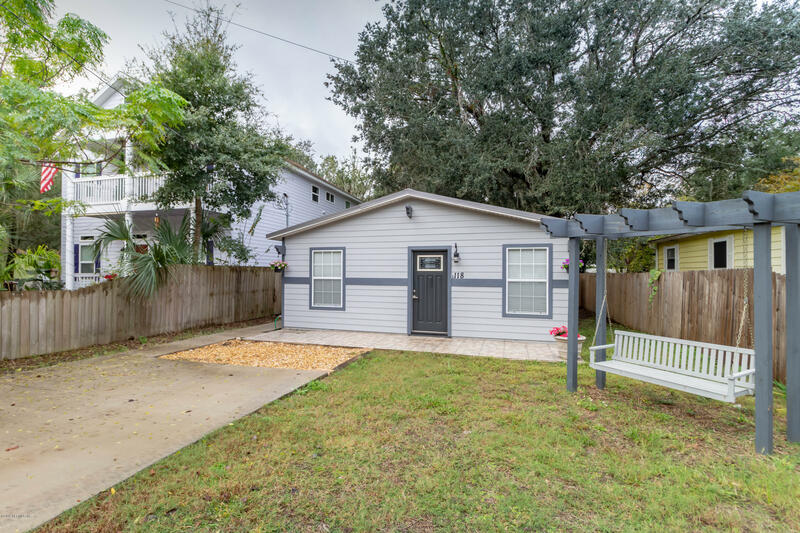 Here you can enjoy the tranquil environment Lincolnvillle is known for, or just a few blocks away take full advantage of all that nearby St. Augustine has to offer. Families, Retirees, College Students, and Investors will all agree that this cottage has a special appeal that everyone can appreciate. This is a must see property you don't want to miss. !